We invite you to submit a proposal to organize a Special Interest Group (SIG) or Satellite Meeting (SM) at ISMB 2016 conference, which will be held at the Swan and Dolphin Hotel, Orlando, United States, July 8 and 9, 2016. Submissions should be submitted via the online submission system here by October 9, 2015. SIG and Satellite Meetings will be held during the two days prior to the main conference: Friday and Saturday, July 8 and July 9. On the first day, SIGs will be held in parallel with the Student Council Symposium; on the second day, with the conference Applied Knowledge Exchange Sessions (AKES). Participants will register for a primary SIG and will be free to circulate between parallel sessions only on the day of the meeting(s) they are registered for. 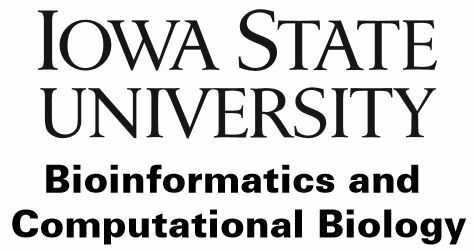 ISCB will handle the logistics of holding the SIG meeting in conjunction with ISMB 2016 and will take the financial risk for holding the meeting. This includes managing registration, promoting the meeting, preparing delegate handouts from the provided materials, providing a room and audio-visual services (Internet access, projector & screen, microphones, etc. ), and supplying food and beverages for breaks and lunches. SM organizers should consider hosting and maintaining a SM website. Proposals will be evaluated by the Special Interest Group committee. • Clarity, quality, and completeness of the proposal.